Publishing Funny Tragic Crazy Magic has been so much fun, that I thought I'd do it all over again. But, you know, for a new story. I'm going to tell you a little bit about a story that none of you have heard about. from the author of FUNNY TRAGIC CRAZY MAGIC. That’s how long Gracie could survive outside of the thick glass which keeps the Building safe from the poisonous smog. Those at the Top had decided long ago that resources should be reserved only for those who contributed to the well being of the community. Broken children, like Gracie, must be abandoned outside the Building. It only takes twelve minutes for the smog to claim them as her own. Unwilling to live by the law the Top commands, Gracie's parents hide her away, until one day when broken things begin to bend. 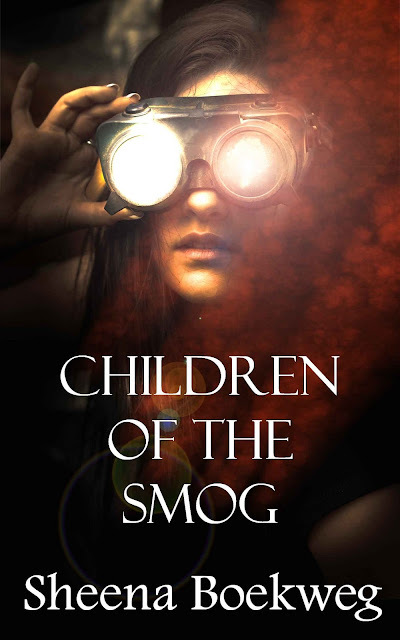 CHILDREN OF THE SMOG launches in two weeks! Friday May 24, 2013. That is a GORGEOUS cover. And I can't believe you've kept this a secret!